Windtunnel Surge creates multiple air channels under the head to pull embedded dirt and dust particles up from the carpet’s fibers. Swivel Neck Design provides more maneuverability around the items in your home. It’s much easier to navigate tables, chairs, and other furniture in tight spaces. Sealed Allergen System keeps virtually all of the trapped allergens like dust mites, pet dander, and pollen particles inside so they cannot escape back into your home. A sealed filtration system is especially important for bagless vacuums like the React. Paws and Claws Tested means the React meets Hoover’s extra standards for pet hair removal on a variety of surfaces. This is an important trait if you have pets in your home. Multi-Cyclonic Design improves airflow throughout and keeps the suction power constant with almost no clogging at all. Hoover Bluetooth App lets you do a variety of customizations and check maintenance schedules so you can keep it optimally running. Hoover put a lot of features into the React that you would find on their larger uprights but managed to keep it lightweight and easy to use. Models like the React and Rocket are the wave of the future, built for cleaning the modern household. DuoClean™ Brushroll has dual brushes with one designed for carpets and the other designed for hard floors like tile, hardwood, and laminate. Hand Vac Conversion lets you operate it on just about any surface that is above the floor for the ultimate in versatility. Pet Multi Tool is specially designed to remove stubborn animal hair from surfaces that can really attract it. Bright LED Lights on the front of the floor head as well as hand vacuum really illuminate everything in front so you can see what was missed. 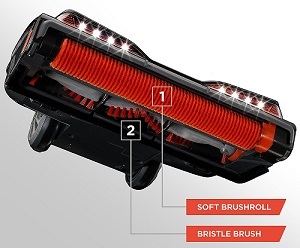 Brushroll Garage gives you easy access to the brushroll for fast maintenance. This is typically a struggle on other vacuums but Shark makes this process easy. Slim and Lightweight Design makes it easy to carry around as well as fit into tight spaces that larger upright cleaners simply cannot. Shark is known for innovation throughout their entire lineup and that is definitely on display with their lightweight Rocket. It does everything you would need from a vacuum designed for entire household cleaning but it is much lighter than you would expect. Now that we have looked at each of their features, let’s compare the React and Rocket in the main categories. Filtration is important for any vacuum that can clean carpeting. The Hoover React QuickLift comes with their Sealed Allergen System™ which as you can imagine is fully sealed against any tiny particles escaping. It is rated to remove 99% of the smallest allergens that include the common dust mites, but it goes one step further and makes sure they don’t make their way back into your home. It is a very highly rated bagless vacuum in terms of filtration and filters. The Rocket also has washable filters that do a good job of removing small dirt particles. Shark has always been known for great filtration and that trait has found its’ way onto the lightweight Rocket. However, it is not a fully sealed system like the one found on the Hoover so the edge goes to the React in this category. Both have high quality filters but the Sealed Allergen System™ gives it to Hoover. There are a variety of ways to measure suction power and not all of them really matters. What matters most is how effective the vacuum is at pulling debris from all surfaces. However, it is good to know how much power a vacuum has before you buy it. The Shark Rocket is rated at just under 50 cubic feet per minute which is near the top of the lightweight vacuum category. The React is slightly lower but still has ample suction for most carpets. Plus with thick or high pile carpeting it has a weight advantage so it pushes the brushes farther down into the fibers. This helps agitate embedded dust more which allows the suction to pull it up into the collection bin. But since this category is strictly about power then the slight advantage goes to the Shark Rocket. 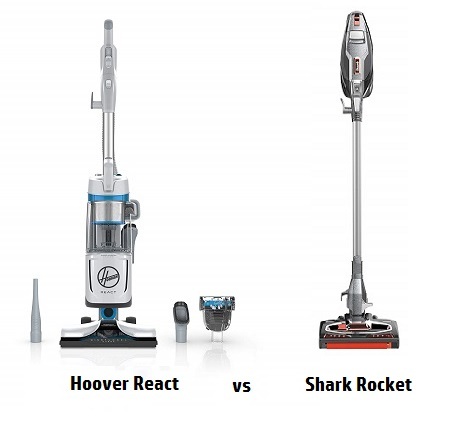 Shark is always near the top in bagless vacuum power ratings, typically right there with Dyson. While this isn’t everything in terms of vacuum ratings it can be the deciding factor. Both of these vacuums come with a swivel neck design. This is a popular feature found on a lot of modern vacuum cleaners, which allows you to maneuver the machine around furniture and other large items in your home. Instead of a rigid neck it has a pivot point so you can angle it as needed. It’s a great feature that you see on more and more vacuums today. The Rocket is lighter in weight, coming in just under 10 pounds compared to around 16 pounds for the React. This gives the Shark the edge in ease of use but in all fairness the Hoover isn’t really a ‘lightweight stick vac’ like the Rocket is. It’s more of a mid-sized upright that is built for entire household cleaning. But as far as being easier to move around (including carrying) the Shark Rocket has a small edge. QuickLift is a unique operating mode on the React that lets you use the lift the canister portion off and operate it under full power. It’s a convenient way to clean stairs, curtains, or other areas that an upright simply cannot reach. 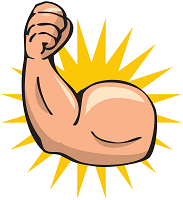 Plus you get the advantage of max power but in a portable application. For cleaning ‘above the floor’ surfaces it is a great choice, but is it better than handheld? Handheld mode works great indeed. You can detach the head from the wand, attach any number of cleaning tools, and use it on a variety of surfaces. While this is helpful and easy to use, the QuickLift mode that Hoover has designed is just a notch better. It’s actually very similar to the Lift-Away option found on Shark’s larger uprights, and gives a lot of power and reach to a vacuum that wouldn’t normally have it. For this reason we give the edge to Hoover in this category. The flexibility to clean all types of floors is a big attraction to both of these models. With either one you can move from hard floors to carpets, and back again without making any manual adjustments to the vacuum itself. Hoover accomplishes this with what they call FloorSense™ technology. They added multiple sensors to determine what type of surface you are vacuuming so it can adjust the speed of the brushroll accordingly. It will speed up for thicker carpets and slow way down for area rugs and hard surfaces. Shark does this much differently. Their DuoClean™ is actually two different brushrolls that work together to clean all types of surfaces. The larger bristle is for agitating dust out of carpeting so it can be pulled into the machine, and the soft roll directly engages smooth surfaces to attract fine dust particles. Both have a job to do and do it well, no matter what the surface is. However, the Rocket has another advantage in the front of the head is higher to allow larger particles like cereal or pebbles to fit right under. Most other vacuums will push these around but they flow right under the Shark, and right up into the collection bin. It is this capability that gives the Rocket the edge here. Going by our categories above and our testing, the Shark Rocket has a slight edge and overall win in this head to head comparison, but there is one caveat. If you have mostly carpets in your home you might want to buy the Hoover React QuickLift instead as it has more weight to really push the spinning brush roll down into the carpet fibers. This would be the one situation where we would recommend it over the Shark, but for most other households we would choose the Rocket. Click here to visit our recommended supplier to learn more about it and check pricing.